In truss systems, engineering and art intersect, creating the open-concept designs that today’s buyers seek. But more importantly, they provide the basis for a strong, sturdy timber home. Trusses. You literally would not have a roof over your head without them. An essential element to any home, trusses not only support your ceiling, they offer architectural interest inside and allow for the open expanse of your great room — whether your timber frame is reminiscent of a grand cathedral or as cozy as a cottage. Unlike most modern stick-built homes, timber-framed trusses are frequently exposed, amplifying the feeling of space and volume inside. The timber frame ceiling can be at the roofline rather than tied to the base of the truss’s lower beam, and individual rooms can have varying ceiling heights thanks to that flexibility. However, the newfound ceiling height and architectural interest of a timber truss often mean an engineer is required to guarantee these beautiful open trusses will hold up under the load of the roof. Once designed and engineered to meet the criteria above, the trusses are pre-cut in the timber framer’s shop. They may be assembled there or onsite, depending on the timber framer and the site’s restrictions. 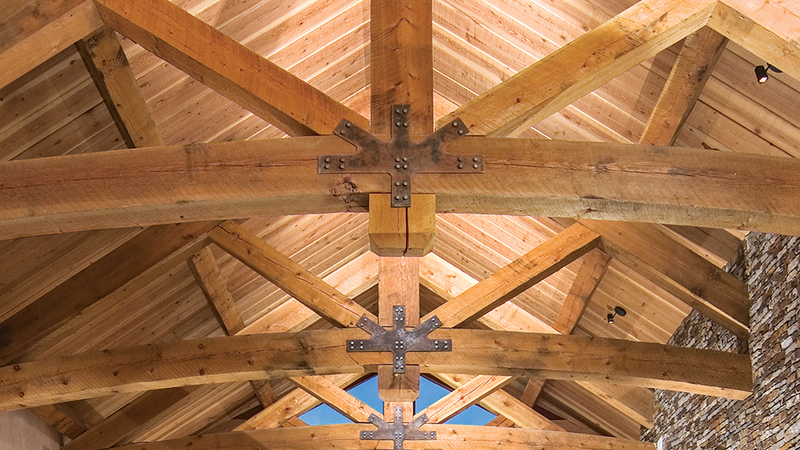 Modern timber frame trusses can be connected using exposed steel plates and brackets or the traditional mortise-and-tenon method, using wood pegs to secure the pieces together instead of metal fasteners or nails. There are five basic modern trusses: common, queen post, king post, hammerbeam and scissor. 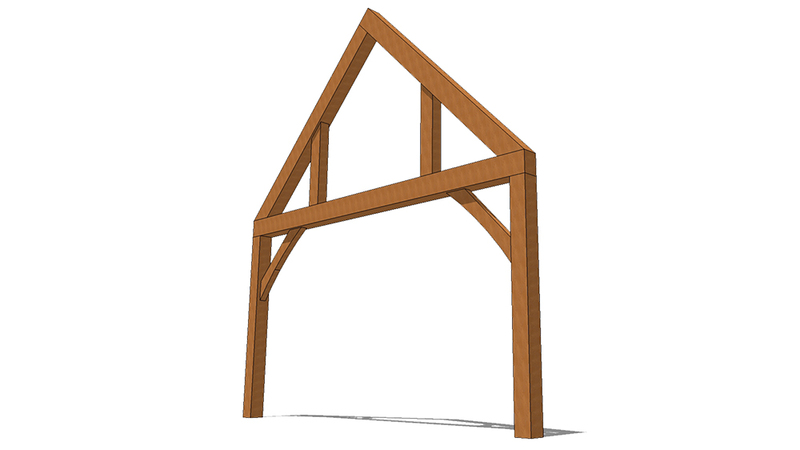 The Common Truss is, as its name implies, the truss most often seen in modern timber frames, and is both strong and affordable. It’s a clean design, easily identified by the manner in which the lower horizontal beam (chord) joins the two rafters. The Queen Post Truss expands on the common truss with the addition of two posts, dividing the gable. These posts are known as queen posts, and work well for drawing attention to the windows in a great room and adding strength to the truss. 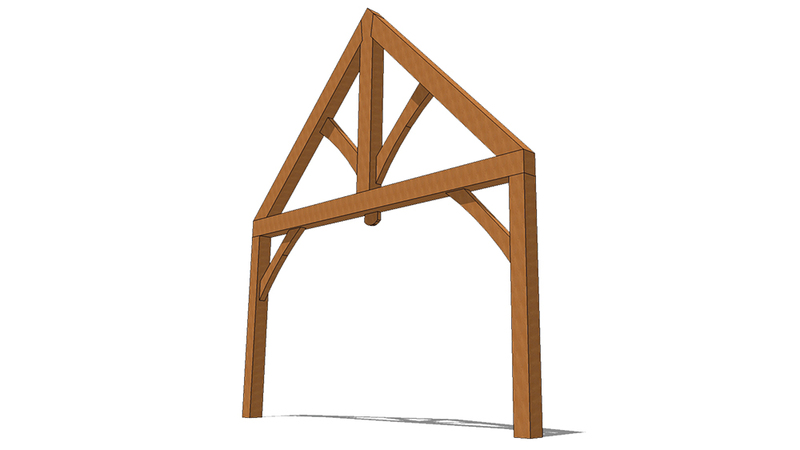 The King Post Truss contains a single post in the center of the gable, known as the king post. 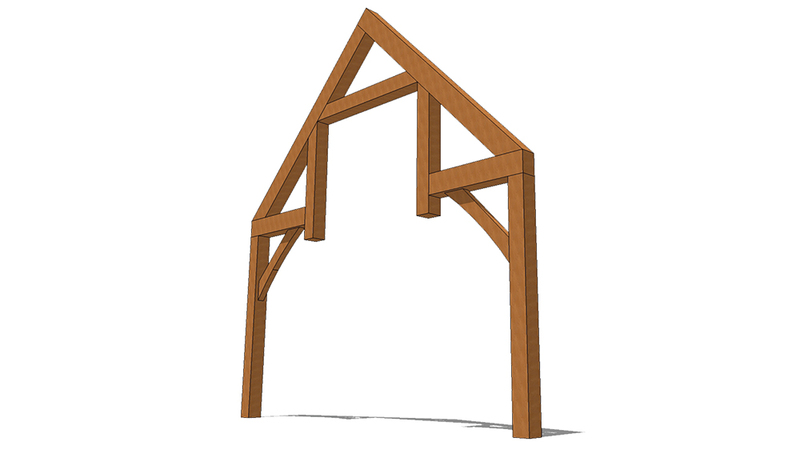 This post divides the gable in two, and often includes two struts on either side. The king post truss is often used in conjunction with other types of trusses; its bold appearance can serve as a focal point of a home’s design. The Hammerbeam Truss is both dramatic and complex, and, with its open-air center, it requires the skilled eye and hand of an engineer to guarantee its structural integrity. 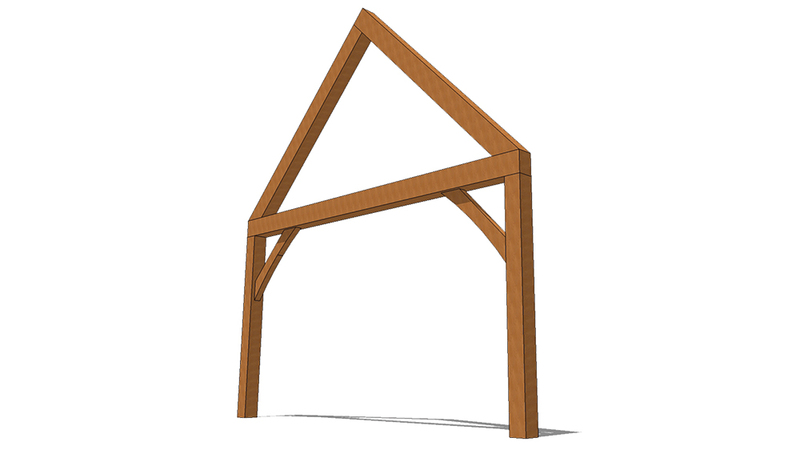 A big advantage of a hammerbeam is that since it doesn’t have a chord (the bottom tie beam found in the other truss styles), it can span a wide distance with shorter pieces of wood. This can be a huge asset if you are building with a species in which long, straight timbers aren’t in plentiful supply. 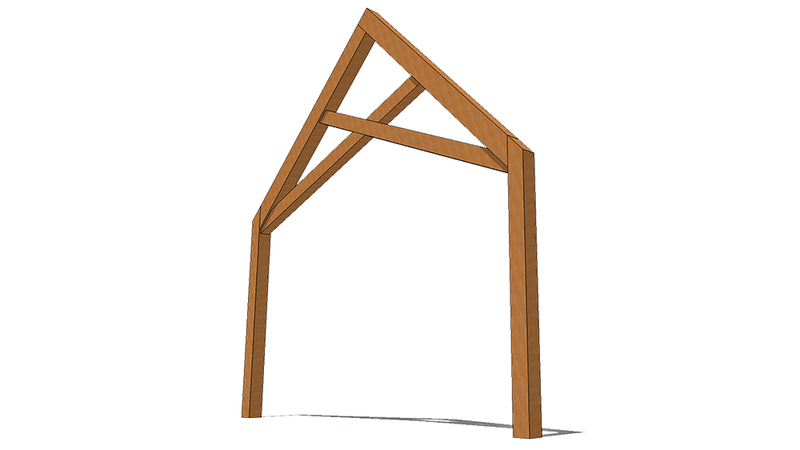 The Scissor Truss represents a departure from the other four, offering a unique design wherein two beams run from the lower part of one rafter to the upper part of the opposite rafter. The beams are notched and fitted together to create a smooth finish and strengthen the truss.